“Like” the LeDroit Park Civic Association on Facebook. Follow DC Government on Twitter. Or, receive a daily digest of all posts from that day. Community List-serv: The email lists facilitate information sharing about the Civic Association and other activities. 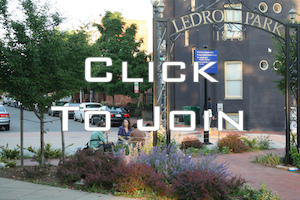 Subscribe to the Community listserv -If you’d like to join the LeDroit Park Listserv, simply shoot a blank email to Ledroitpark-subscribe@yahoogroups.com. After you send that blank email, you’ll be asked to confirm. Then, you’ll be all set! That’s it! Subscribe to the official Metropolitan 3rd District Police Listserv – If you’d like to join the LeDroit Park Listserv, simply shoot a blank email to mpd-3d-subscribe@yahoogroups.com. After you send that blank email, you’ll be asked to confirm. Then, you’ll be all set! That’s it! If you post a video to You Tube, be sure to tag it with “ledroitparkdc” and “ledroit park”. That way, community members will easily find all of your postings. The Civic Association hosts a Flickr photo pool. It is focused on sharing the architectural beauty and community spirit of our historic neighborhood in Washington, DC through pictures. To ensure that all community members receive information, Civic Association announcements and event flyers are posted throughout the neighborhood.